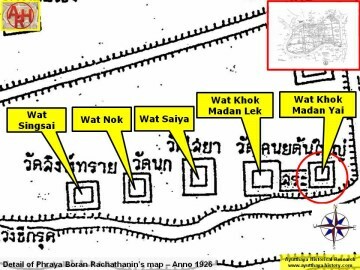 road and is found west of Wat Jao Prap. King Chakkraphat (r. 1548-1569) also called the "Lord of the White Elephants". 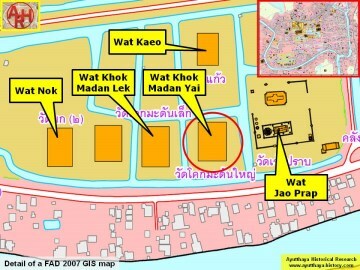 Wat Luang Chi Krut with Wat Jao Prap, running parallel with the city’s defense wall. 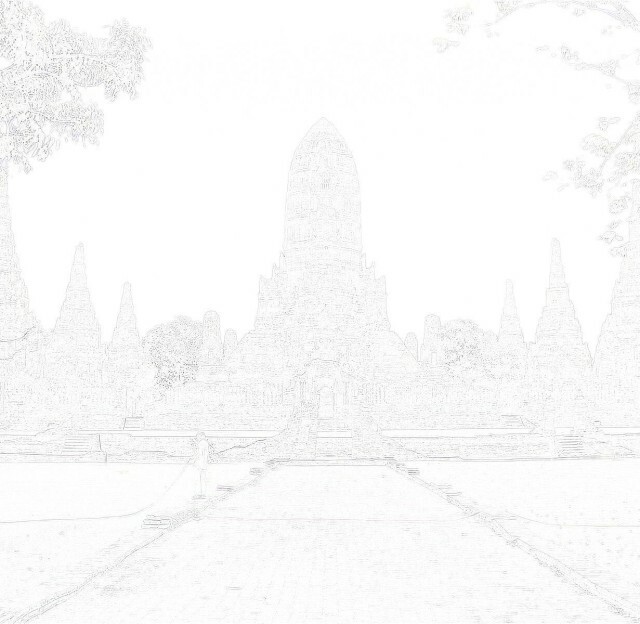 Phra Sri Nakharin Park was constructed. Only a large grass field remains. 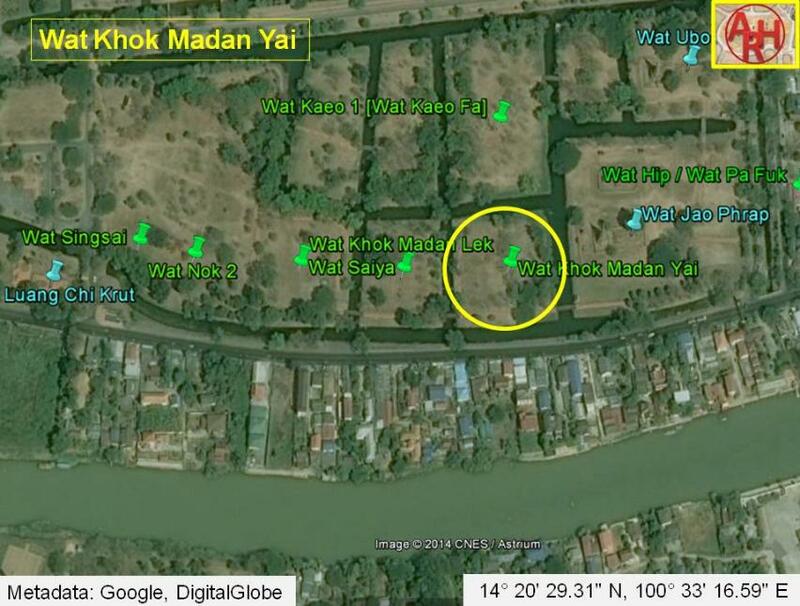 Wat Khok Madan Yai was located in Geo Coord: 14° 20' 29.31" N, 100° 33' 16.59" E.